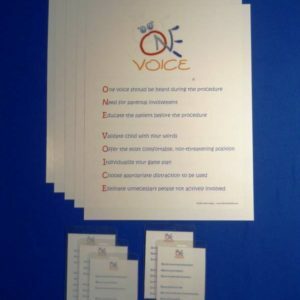 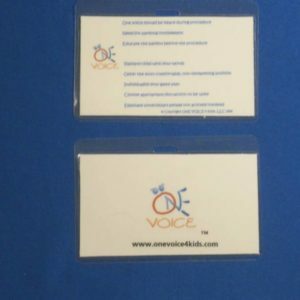 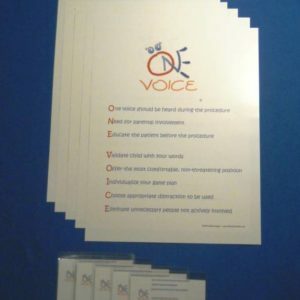 ONE VOICE ID Badge Cards for the vertical name badge. 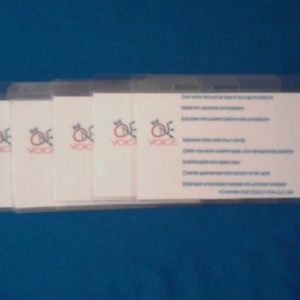 Place these behind your name badge with the ACRONYM facing outward. 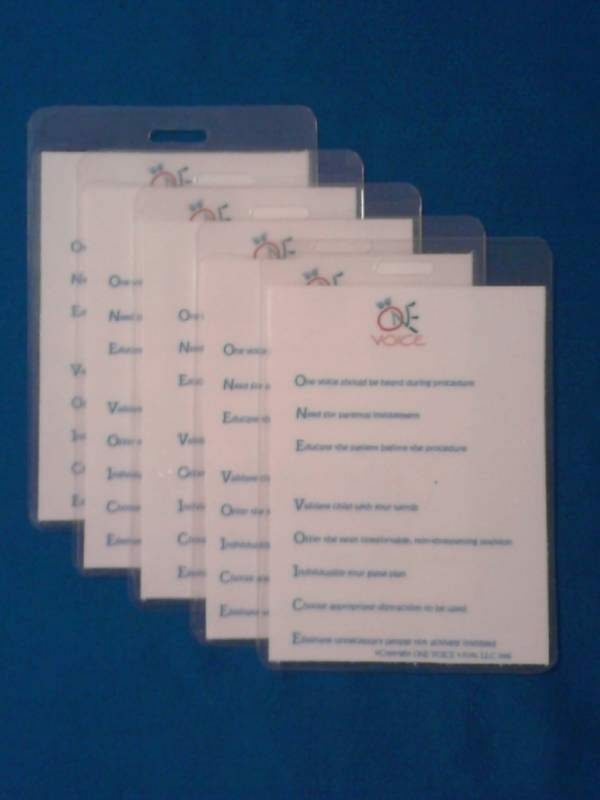 When ID badge faces backwards, ONE VOICE and its philosophy will be displayed.